Everyone, I have some exciting news to share: My good friend, Keyanna Butler, is releasing a book! 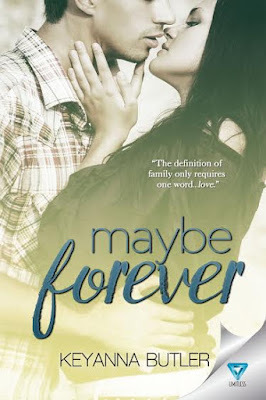 It's called "Maybe Forever" and it's scheduled for release July 19. The gorgeous cover was revealed today (see above) and I wanted to share it with you all. Check out all of the details below and make sure you grab a copy when it comes out! Congrats, Keyanna!